This week has been a week of learning. And failures. Lots of failures. 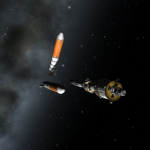 Failed Mün rover launch. 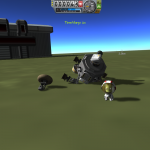 No Kerbals injured, yay! I learned the hard way that time warping and complex space stations don’t mix. 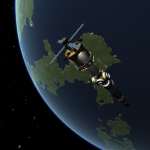 Second and third space stations stations went swimingly, at 200km and 650km orbits respectively. 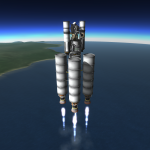 High orbit works a bit better for refueling as it’s a nice fit for a high delta-V rocket stage. 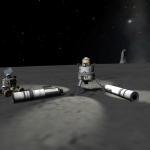 Afterwards, Mün base construction begins. 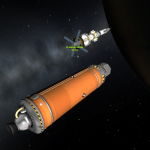 It started as a rescue mission, bringing home a Kerbal I stranded on Mün earlier. 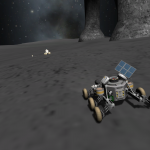 However, update 0.19 came out this weekend, so I just had to try out the new rovers. 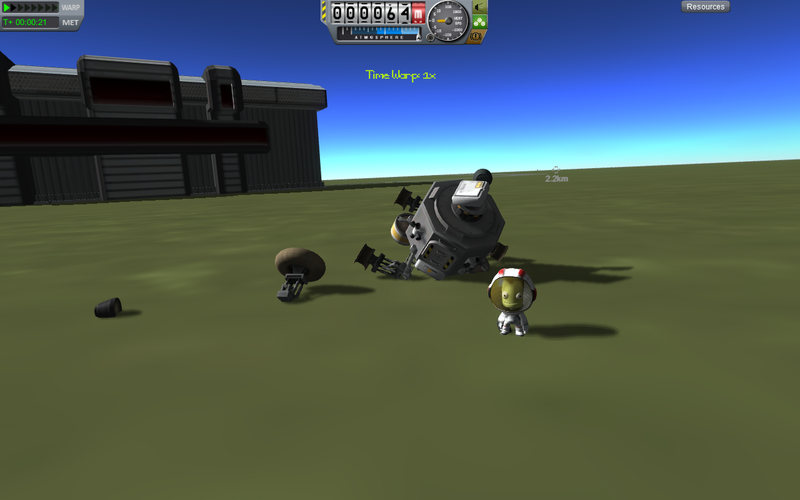 Successful landing and engine separation. This leaves the lander with a full tank ready for the return trip. Second rover meets up with the first. 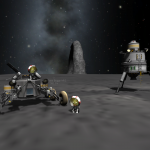 Bill and Bob Kerman pose for a Münbase group photo.